All inclusive trip for 2 to the 4* Grand Palladium Jamaica courtesy of tripcentral.ca ( conditions apply and taxes extra). 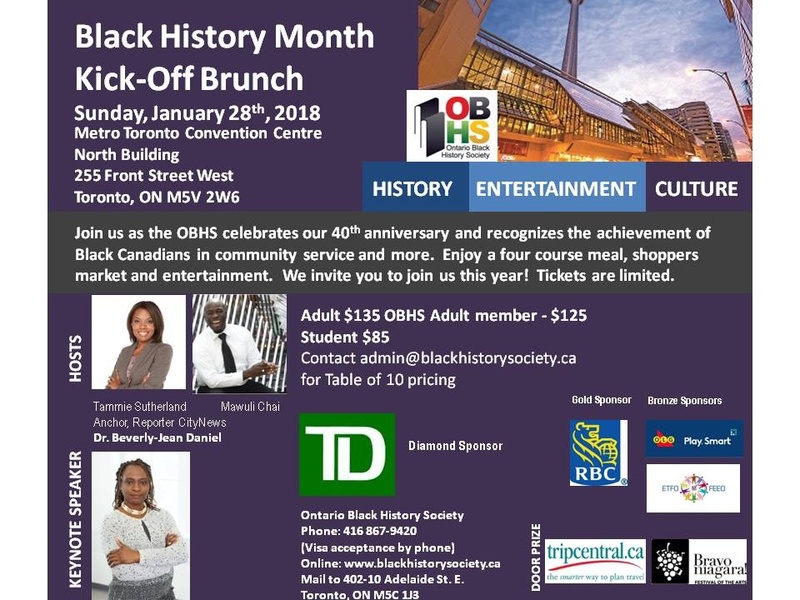 Join us on Sunday, January 28th, 2018, as the OBHS celebrates our 40th anniversary and recognizes the achievement of Black Canadians in community service and more. Enjoy a three course meal, shoppers market and entertainment. We invite you to join us this year! Tickets are limited. "It's all about our Youth"